Have you ever wanted to know what type of soil you have in your garden, and what plants will do well in it? 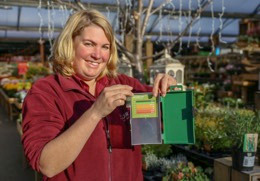 If so pop into Squire’s Garden Centres as they have recently launched a completely free soil testing service. Simply bring a small handful of your garden soil in a container to Squire’s, and their gardening experts will test the pH level and let you know what type of soil you have. Not only that but they will also give you friendly, down-to-earth advice about which plants will do well in your garden. 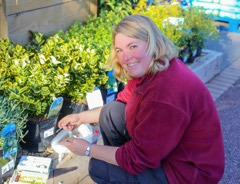 For example if you have alkaline soil then plants such as Lilacs, poppies and Peonies should thrive, but if you have acidic soil then you might want to try planting Camellias, Rhododendron or Azaleas.